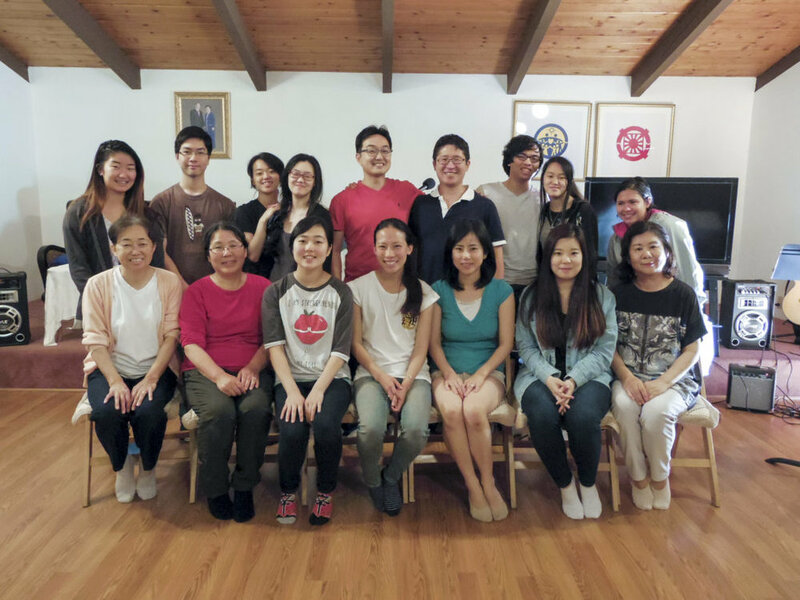 Naokimi Ushiroda, the President of CARP America, recently visited the Seattle community from July 13-17. Here are a few insights from his trip. On Wednesday, July 13th, I had dinner with the Seattle Family Church Assistant Pastor, Teddy Sylte. He invited me to meet other young adults that night at a weekly young adult gathering. Seattle, like many other large communities, has many young adults but hasn’t had consistent leadership to build a strong and engaged community. There are many bright young people in Seattle and Teddy has lots of hope for the future. 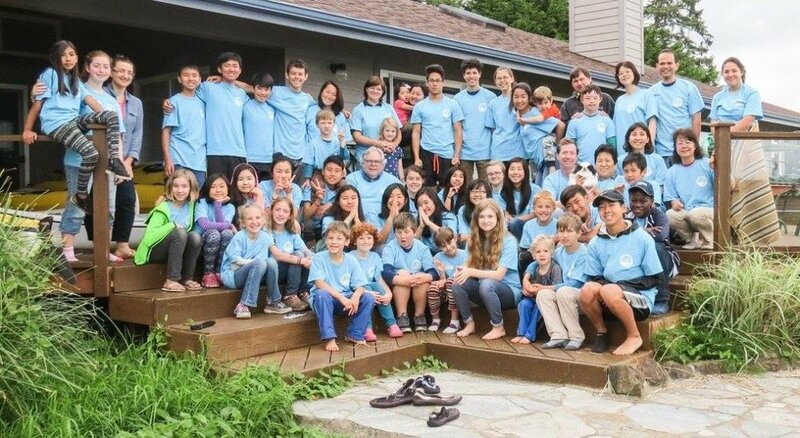 Camp Tongil was hosted by the Tacoma Church in Washington State for elementary and middle school students. The next day I visited Camp Tongil held at the Wolfenberger home. I shared with the 50+ elementary and middle school students about how to develop a child’s heart and the heart of a true brother or sister. 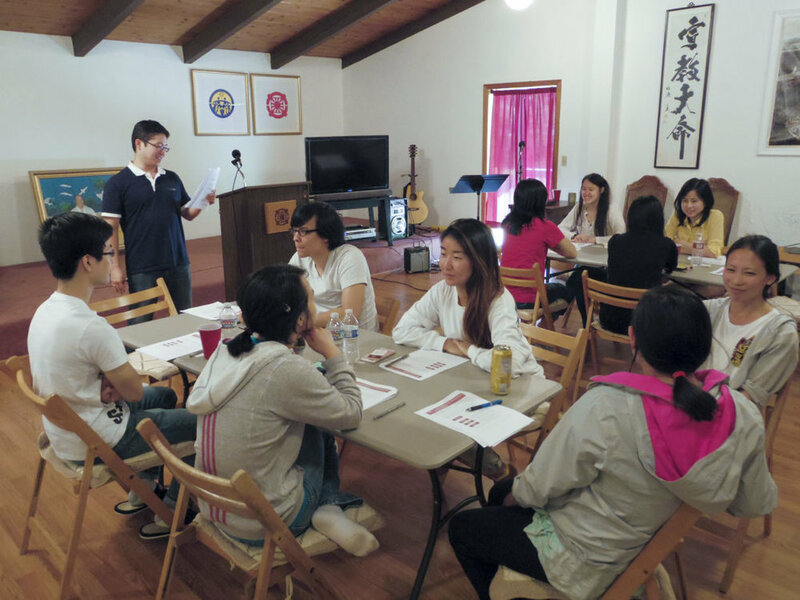 Then, I led a 2-day workshop called “STEP UP” based on CARP’s student empowerment seminars on Unification Principles. 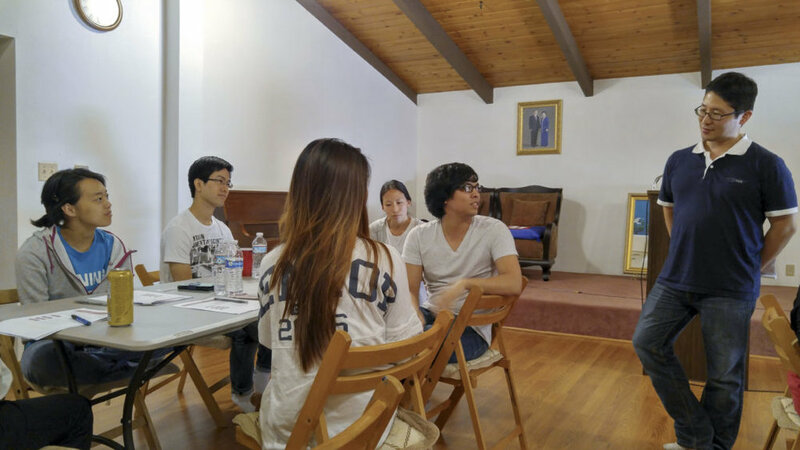 Around 14 young adults, including District Pastor Inchan Park and his wife, attended and enjoyed the interactive exercises hosted at the Tacoma Family Church. Participants shared that they became even more positive, selfless, and proactive as a result of STEP UP. I am very grateful for the Seattle community for inviting me to speak. We look forward to coming back to Seattle in the fall to share this program with more people. On Sunday, I had the opportunity to give a sermon to over 100 people. I outlined my embarrassment when, during an important ceremony a few months ago, I got in trouble for not dressing appropriately with a suit. . The congregation chuckled at my discomfort. However, this incident taught me to take responsibility for my actions and to see from God’s perspective in every situation. In difficult situations such as my ‘suit fiasco, I could have easily played the victim. However, I chose to see the situation as a learning opportunity instead of feeling stuck. When we think of God and how we can connect to others, our energy naturally increases and we can brainstorm creative ways to take responsibility in any situation. Thank you, Seattle community, for welcoming me so well. Seattle has stepped up…who’s next?